Diamond Wedding Set | Shane Co. The added twist of this brilliant wedding set, featuring 13 round diamonds at approximately .13 carat total weight, creates an intriguing design. Each diamond has been hand-matched for exceptional beauty and sparkle. These magnificent gems are set in a unique 14 karat white gold setting. 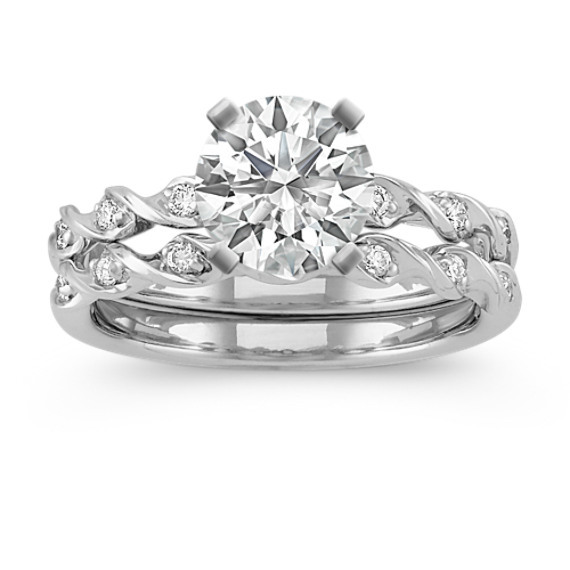 To complete the look, add the center diamond of your choice.